Research allows physicians to use the experience from dozens, even hundreds of other patients in order to create the best possible treatment plans for your condition. Part of NCIMC’s ongoing mission is to support such research so as to demonstrate the safety and effectiveness of traditional Chinese medicine when used in combination with Western therapies. Research promotes the finding and testing of the latest interventions to improve patient outcomes. Our current research focuses on the safety and efficacy of acupuncture on lymphedema and post-chemotherapy fatigue. Our future plan is to support rigorous scientific research collaboratively. The focus is to establish with other institutions including China, the safety and efficacy, and utilization of integrative medicine. Currently, the NCIMC Medical staff is participating in an ongoing research study to establish Western standards of safety and effectiveness of integrative medicine practices in collaboration with Memorial Sloan-Kettering (New York) and Beijing Hospital, TCM Department. New York | Our first collaboration was with Memorial Sloan-Kettering to research the effectiveness of acupuncture to treat post-chemotherapy fatigue. This is an ongoing Phase III clinical trial http://clinicaltrials.gov/ct2/show/NCT00658034; click on the link for more detailed information. Berkeley | A protocol is now being written in collaboration with acupuncture and traditional Chinese medicine schools for a multi-site study, currently envisioned for Oakland, Berkeley, San Jose and Santa Cruz to verify the safety and effectiveness of acupuncture in patients with lymphedema, a debilitating failure of the lymphatic system to rid the body of excess fluids in the limbs. This study will be conducted under the direction of the National Institutes of Health. Chinese Medicinal Student Internships | Collaboration with traditional Chinese medicine schools, with campuses in Santa Cruz and San Jose, NCIMC is forming an Integrative Medicine Department with the Alameda County Medical Center to create clinical rotations for Chinese medicine students to learn Western medicine while earning a Masters of Science in Chinese Medicine. Western Medicinal Student Internships | Through the yet to be formed Integrative Medicine Department with the Alameda County Medical Center, medical interns, residents and students will acquire Chinese medicine clinical experience and, along with their medical degree, potentially earn a concurrent degree in Traditional Chinese Medicine. Doctoral Fellowships in Chinese Medicine | For those individuals who have earned their Masters in Science in Chinese Medicine, cooperation with a traditional Chinese medicine school and a 3-year fellowship program is under discussion with Beijing Hospital's TCM Department to allow students to perform research and earn a PhD in Chinese Medicine, thereby becoming eligible to practice as an allied practitioner in integrative medicine. 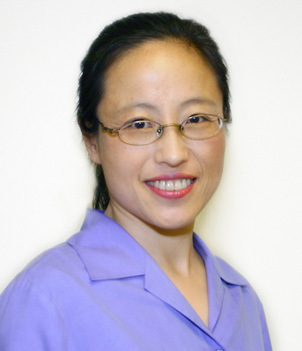 Amy (Ying Li) Matecki, MD. Dr Matecki graduated from Qingdao Medical College in 1989 and Qingdao Acupuncture Academy in 1991 where she was certified in Chinese Acupuncture and Herbal Medicine. She practiced both Western and Traditional Chinese Medicine in China before moving to California in 1994. Dr. Matecki became licensed to practice medicine in California in 2002. In 2004 she completed her Internal Medicine residency program as Chief Resident at Alameda County Medical Center(ACMC), Highland campus of UCSF. After becoming Board Certified in Internal Medicine she joined Northern California Hematology and Oncology Inc. and pioneered the acupuncture program at the Alta Bates Summit Comprehensive Cancer Center. Dr. Matecki is currently the principal investigator on acupuncture research for chronic post-chemotherapy fatigue in collaboration with Memorial Sloan-Kettering Cancer Center in New York, the Medical Director for the Center for Integrative Medicine, Alta Bates Summit Medical Center, and frequently travels to China to develop collaborations and training programs to bring the best of Eastern medicine into Western practices. She started acupuncture safety use for patients with Lymphedema and presented their abstracts in various conferences including Society for Integrative Oncology, Society for Acupuncture Research, World Federation of Acupuncture-Moxibustion Societies (WFAS), American Society of Clinical Oncology and National Lymphedema Network. Integrating Chinese medicine into conventional oncology practice, Dr. Matecki finds that using integrative medicine stimulates the body’s natural ability to heal, often reduces the pain and nausea which frequently accompany chemo and radiation therapy, and provides essential support throughout the course of oncology treatments. Recently acupuncture has been shown to be of benefit for Xerostomia, Hot flashes, and Post traumatic stress disorders. She is an associate clinical professor of medicine at UCSF, and is currently starting an acupuncture clinical training program together with licensed acupuncturist Drs. Rona Ma and Alex Feng at Alameda County Medical Center in Oakland, California. For more information on Dr. Matecki’s research, see the National Institutes of Health website at http://www.clinicaltrials.gov/ct2/results?term=NCT00658034. Dr Alex Feng was born in China , began practicing Traditional Chinese Medicine in 1976 and was one of the first acupuncture licensees in the state of California . Selected as one of the Top Ten Best Practitioners in the Bay Area by SF Focus Magazine, Dr. Feng founded Zhi Dao Guan, The Taoist Center, that houses his Clinic for Traditional Chinese Medicine and Wu Tao Kuan Martial Arts Institute. 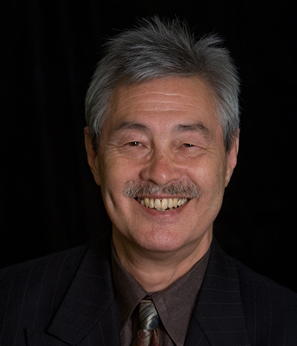 He served as subject matter expert on the California Acupuncture Board and held the chairmanship of the NCCAOM, the national certification program for Oriental Medicine. He has taught and provided mentorship for many TCM practitioners, as well as physicians. As a Qigong Master, Dr. Feng has designed I Am a Seaweed Medical Qigong is also a renowned Tai Ji master who has produced national and international champions. Dr. Feng has dedicated his life to the Traditional Chinese health care system as a way of providing wholistic healing.